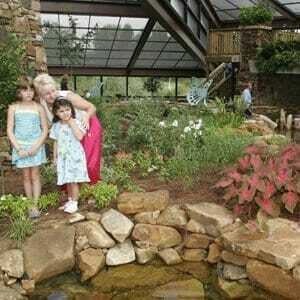 The Botanical Garden is located in Huntsville, Alabama. The location features several exhibits. Your student group can take a tour of the beautiful landscape. 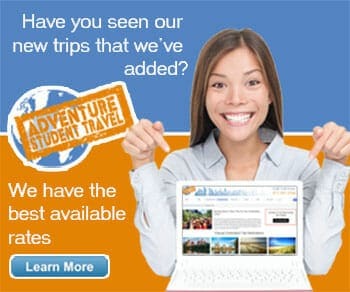 There are several tour options to consider. Featured tours include the following: self-guided tours, docent-guided tours, and Galaxy of Lights walking tours. During the docent-led tour, your group will be guided through the gardens. The students will learn about the location including the history. These tours can include a boxed lunch at the conclusion. The lunch includes a chicken salad or turkey sandwich, chips, pasta salad, lettuce, tomato, a cookie and a bottle of water. There are a variety of fascinating exhibits for the group to observe. Featured exhibits include the Garden Railway, the Plant Collections and the Wade Wharton Exhibit. The Garden Railway exhibit is the most popular display visited. The display consists of a European Village. Features include: a church, fire station, a restaurant, a waterfall, two ponds with fish, forests, a bog area, and a farm. The Botanical Garden also offers educational programs for students. Featured programs include Garden Walk-Throughs, Seeds to Sprouts: Yummy Yellow, Seeds to Sprouts: Gorgeous Green, and Seeds to Sprouts: Perfect Purple. The Garden Walk-Throughs are self-guided tours of various areas of the garden. Featured areas include: the Nature Trail, the Children’s Garden, and the Nature Center when it is in season. Students of all ages are welcome to participate in these tours. Come visit with your student group and enjoy the natural beauty of this amazing landscape!